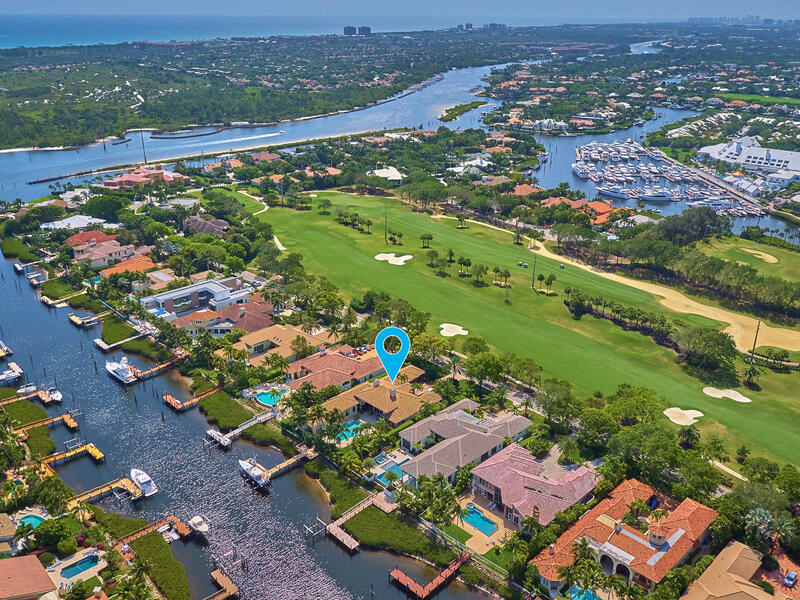 Location, Location, Location.... the golf course in your front yard and the water in your back yard. 5 bedrooms and 5.1 baths in this single story home with marble, wood and carpeted floors, and granite counter-tops. Enjoy the resort lifestyle living at the premier Club at Admirals Cove. Golf, tennis, boating, spa, fitness - there's something for everyone. Waterfront: Interior Canal, Navigable, No Fixed Bridges, Ocean Access Yes 100 Ft.